TOKYO (AP) — The new lawyer of former Nissan chairman Carlos Ghosn says he believes the auto executive’s latest request for release from a Japanese detention center on bail, his third, might succeed. Ghosn, who says he is innocent, faces charges of falsifying financial reports and breach of trust. His latest request for bail is still pending. Two previous requests were denied. Prosecutors allege that Ghosn falsified financial reports by allegedly under-reporting his compensation by about 5 billion yen ($45 million). He is also charged with breach of trust for allegedly having had Nissan shoulder investment losses and by making payments to a Saudi businessman. Ghosn says the compensation in question was never decided or paid, that Nissan never suffered from the investment losses and that the payments were for legitimate services. Hironaka, whose nickname is “the razor,” contends Ghosn’s case is largely an internal Nissan company matter that was known to other executives for a decade. He says the long detentions in Japan of suspects before trial are unfair, because they mainly affect those who insist they are innocent. Japanese prosecutors argue that suspects may tamper with evidence or flee. Ghosn earlier offered to wear an electronic tether and hire security guards, but such methods are not used in Japan for bail. Hironaka joked that, at 73, he looked forward to testing how sharp his defense might be in this high-profile case. “This is important for history and for society,” he said. In Paris, lawyers for Ghosn’s wife and children —Carole, Caroline, Maya, Nadine and Anthony Ghosn— said in a news conference Monday they have submitted the case to the group in charge of investigating arbitrary detentions at the United Nations’ human rights office, based in Geneva. Finelle added she considers the right to the presumption of innocence has not been respected since the beginning of the case. 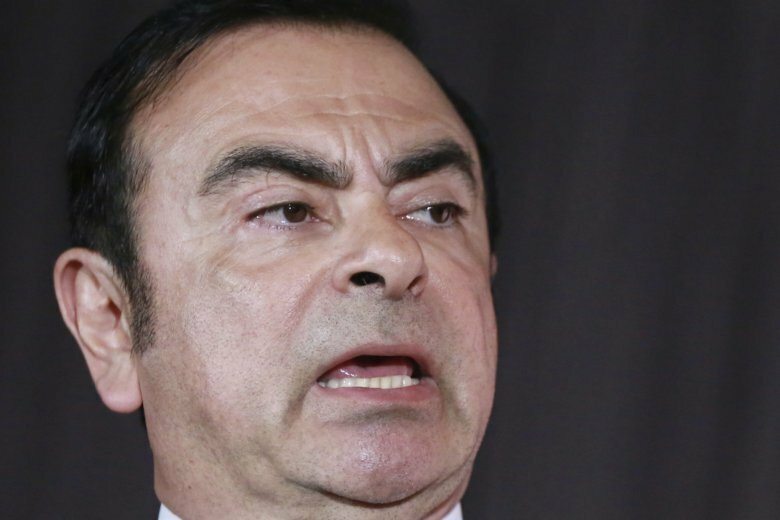 Separately, Ghosn’s children defended their father’s love for Japan and denounced reported comments by the Japanese automaker’s chief executive, Hiroto Saikawa. A statement from Caroline, Nadine, Maya and Anthony Ghosn, seen Monday by The Associated Press, said Ghosn’s contribution to Japan was well-known. “We grew up in Japan and have countless precious memories there as a family, so it is extremely disappointing that a long-trusted co-worker of my father’s would slander him by claiming falsely that my father does not love and respect Japan. Anyone who knows my father knows that is not true,” it said, without mentioning Saikawa by name. In an interview in the Japanese weekly magazine Shukan Bunshun, Saikawa is quoted as saying the allegations against show he lacked respect for Japan and the Japanese people. Nissan declined to comment, reiterating that it is strengthening its corporate governance to prevent further misconduct.